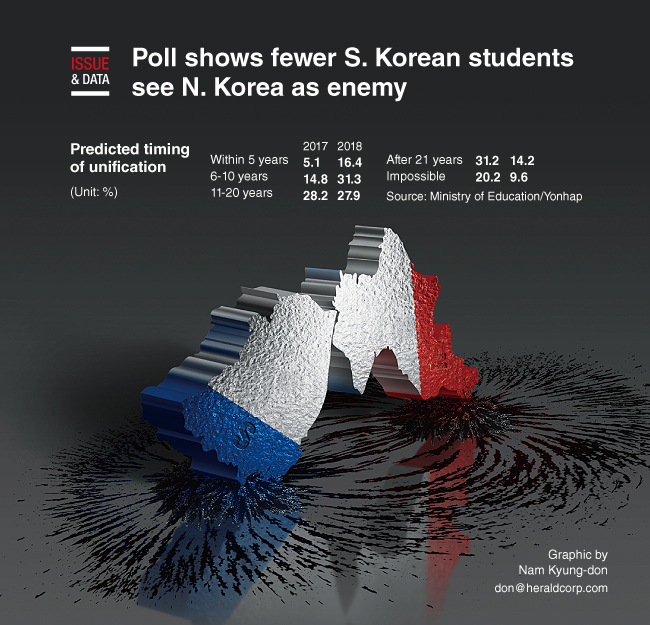 Fewer young students in South Korea perceive North Korea as an enemy than a year ago, while a larger number of them regard the North as a cooperative partner, a poll has showed. Instead, 28.2 percent of the young students agreed with the new description of North Korea as an “object to watch out for” in the latest survey. Asked to predict the timing of unification, 31.3 percent said “within six to 10 years” in 2018, while 31.2 percent cited “after 21 years” in 2017.